Welcome to the Ancient Numbers Page. It is a work in progress, and many features will be added in the coming weeks and months. Have you ever wondered what archaeologists really get up to? Is it all just digging or is there a lot more to it? The Day of Archaeology project aims to give you a window into the daily lives of archaeologists from all over the world. The first ever Day of Archaeology in 2011 had over 400 contributing archaeologists, from those working in the field through to specialists working in laboratories and behind computers, and their posts chronicled what they did on one day, July 29th 2011. This date was chosen to coincide with the Festival of British Archaeology, which runs annually in July. View the past entries, or explore using the categories at the top of each page. Day of Archaeology was born after a Twitter conversation between PhD students and project organisers, Lorna Richardson and Matt Law, during the third annual Day of Digital Humanities in March 2011. They thought it would be interesting and fun to organise something similar to the Day of DH for those working or volunteering in (or studying) archaeology around the world. Thanks to some very generous offers of time, support, web design know how, and server space from digitally-minded colleagues (the server space from Daniel Pett of the British Museum), an organising ‘committee’ of sorts was formed, and the idea quickly became reality. 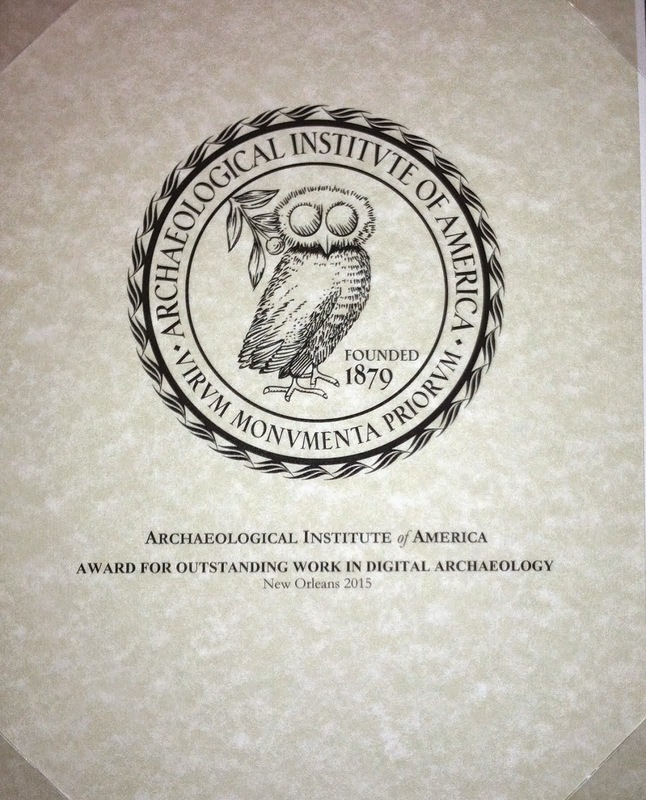 Read more background information about the Day of Archaeology 2011. Nino Zubovic's pilot project, which received startup assistance from the Department of Classical Philology of the Faculty of Humanities and Social Sciences at the University of Zagreb, aims to create a digital, EpiDoc corpus of the Greek inscriptions attested and preserved on the territory of present-day Croatia. Methodologically, it shares goals with the U.S. Epigraphy Project, but excludes Latin inscriptions as these are being researched for CIL by the Department of Archaeology. In the haphazard patchwork that is our understanding of Hellenistic genealogy, the Seleucid dynasty stands out as particularly threadbare. Despite the wealth of recent scholarship on countless facets of the Seleucid World, the genealogy and descent of the Seleucids themselves has received only sporadic and fragmentary attention. This site has been created in the hope of producing and presenting as near a comprehensive stemma of the Dynasty as possible. Ancient literary evidence, numismatics, epigraphic remains, and contemporary scholarship have been combined with my own judgement and reasoning in (numerous) cases of controversy. In the interest of objectivity I have erred on the side of conservatism; all hypotheses and conjectures are indicated as such. For the sake of convenience and accessibility, I have presented all Greek names in their latinized forms. "The Aeolic Component in Homeric Diction." "'Dream of a Shade': Refractions of Epic Vision in Pindar’s Pythian 8 and Aeschylus’ Seven against Thebes." 2006 online second edition of an article that orginially appeared in A Companion to Ancient Epic (ed. J. M. Foley; Malden and Oxford 2005) 71-89. Copyright, Oxford University Press. "The Fragmentary Muse and the Poetics of Refraction in Sappho, Sophocles, Offenbach." "On Dialectal Anomalies in Pylian Texts." "Performance and Text in Ancient Greece." "Poetics of Repetition in Homer." "Review (part I) of M. L. West's Indo-European Poetry and Myth (Oxford 2007)." "Review (part II) of M. L. West, Indo-European Poetry and Myth (Oxford 2007)." "An Apobatic Moment for Achilles as Athlete at the Festival of the Panathenaia." "Hesiod and the Ancient Biographical Traditions." "The Idea of the Library as a Classical Model for European Culture." "The Library of Pergamon as a Classics Model." "Reading Bakhtin Reading the Classics: An Epic Fate for Conveyors of the Heroic Past." "The Sign of the Hero: A Prologue to the Heroikos of Philostratus." "The Subjectivity of Fear as Reflected in Ancient Greek Wording." "Theognis and Megara: A Poet's Vision of his City." "Transformations of Choral Lyric Traditions in the Context of Athenian State Theater." "Transmission of Archaic Greek Sympotic Songs: From Lesbos to Alexandria." "Did Sappho and Alcaeus Ever Meet?" "The 'New Sappho' Reconsidered in the Light of the Athenian Reception of Sappho." Glyph Dwellers is an occasional publication of the Maya Hieroglyphic Database Project, at the University of California, Davis, California. Its purpose is to make available recent discoveries about ancient Maya culture, history, iconography, and Mayan historical linguistics deriving from the project. Funding for the Maya Hieroglyphic Database Project is provided by the National Endowment for the Humanities, grants #RT21365-92, RT21608-94, PA22844-96, the National Science Foundation, #SBR9710961, and the Department of Native American Studies, University of California, Davis. (c) 1997–2009 Martha J. Macri & Matthew G. Looper. All rights reserved. Written material and artwork appearing in these reports may not be republished or duplicated for profit. Citation of more than one paragraph requires written permission of the publisher. No copies of this work may be distributed electronically, in whole or in part, without express written permission from the publisher. Links to Glyph Dwellers from other sites are welcome. Open Journal of Philosophy (OJPP) is an international journal dedicated to the latest advancement of philosophy. The goal of this journal is to provide a platform for scientists and academicians all over the world to promote, share, and discuss various new issues and developments in different areas of philosophy. Putting the world's scholars and organisations at your fingertips, the Iranian Studies Directory (ISD) is a pioneering initiative to develop a comprehensive reference and research facility that will open up the fields of Persian and Iranian studies to academics, teachers, students, curators, professionals and lay enthusiasts across the globe. If you are in any way involved in the world of Iranian or Persian studies, get networked now! Register with this public resource and connect yourself to other professionals and institutions in your field throughout the world.